The apple company provides presented much-awaiting i phone 6s and also 6s Furthermore touch screen phones into the electronic digital marketplace and also till at this point, lots of people have got obtained this specific i phone and also savoring this incredible popular features of i phone 6s/6s Furthermore cellular phone. Because it includes completely new attributes, men and women may have several questions in connection with program of the completely new iphones. The majority of people strongly employs social media similar to Fb, Twitting and other Messaging Platforms similar to WhatsApp. When, should, you’ve kept up to date just about any software with your i phone, certainly it includes several completely new benefits and also changes. For those who have kept up to date ‘Facebook Messenger’ software with your i phone just lately, you might have got remarked that it doesn’t commonly give a logout choice. Tap the icon for SETTINGS. Scroll down gently until you can spot the highlighted words, DATA USE POLICY. Tap that blue hyperlink. Tap the menu bar on the top left corner. Zoom slowly until you can see clearly your PROFILE PICTURE at the top right corner. Tap your picture to reveal the drop down menu. Tap LOG OUT from that drop down menu. Open Facebook.com in your browser. Scroll down until you find facebook settings. Tap it. Tap the X icon next to that log to end its session. AppLock is one of the android security applications utilized by the majority of the android clients. AppLock helps us to bolt photographs, messages, contacts, applications and so on., and secures our protection. In any case, AppLock won’t give 100% security to the applications. In this article, I’ll explain you now How to hack AppLock android app. No need to uninstall the app or no root is required. well! let us see how to bypass AppLock android app without knowing the password. This was experimentally proved by testing it on my friend’s phone. You can switch off the mobile or reboot the mobile. When the phone is switched on.The app lock do not work for first 10-15 seconds. Let’s now try bypassing the app lock. This trick is fun doing as it is quite simple and it is unnoticeable. First select the target phone having app lock. Open “Settings” from the app drawer. Tap on “Apps” or “Applications” in your phone. Search for “App Lock” Application. Tap on the App Lock application. You will see “Force Stop” application. Tap on it as u see in below screenshot. Note :If the app lock is enabled for settings.First use the Method 1,Then immediately open settings after reboot and Force Stop the application. With this particular AppLock software currently is with not doing anything talk about. You’ll be able to open secured programs devoid of coming into the particular pass word.I hope you’ve have got realized how to bypass AppLock application with google android gadgets. When you have virtually any doubts, remark beneath in the remark part as well as sense liberated to reveal this technique having other people. I have Mentioned Some of the Popular Devices Trending Now.Even Don’t have an iPhone 5s, but still you could update you Facebook status via iPhone 5s . Yeah, that sounds really awesome. you could update Facebook status via any device e.g. via iPhone 5s, galaxy s4, Xperia z, BlackBerry, Whatsapp , microwave and many more devices.You don’t need to buy these high-end devices , you could do it without having it with this little Facebook trick. If You need a specific device you can request by commenting. @2013 All Tricks Buzz.The content is strictly copyrighted to Prithvi and may not be reproduced without permission .Proudly Powered by Blogger. 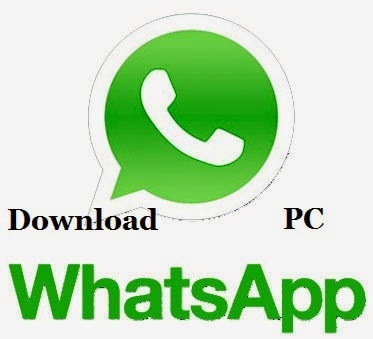 Hi Friends, Today I like to share the information regarding facebook chat enabling option ie., how to get rid of this install facebook messenger on facebook app.In recent times,facebook rolled out update that facebook chat messenger for every android is mandatory for chatting on facebook.But most of the people hate it because of several reasons.Why this Facebook Forces users to install Facebook Messenger Which eats away my battery and increases my RAM usage?? Is there any method to re-enable it ?? These Questions has strike out in every geek’s mind. 1)First make sure that facebook App is installed on your facebook. 3)Check Messages on your facebook app.You’ll see a message as shown in this picture. 4)Here comes a small trick to enable facebook Chat. 6)Then install with package installer on your mobile. 8)Tick on the Unknown sources and try to install again. 9)The app will be installed for sure.Now check your messages in Facebook App. 10)I think you’re done.You can see messages on Facebook Chat app itself.